Saxophone history has been remarkably free of developmental detours, a testament to the genius of Adolphe Sax and his original design. 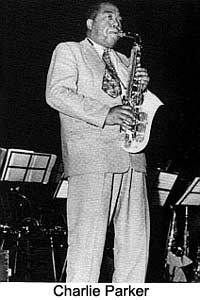 One of the more interesting mis-steps was the Grafton saxophone, constructed in England between 1950 and 1967 of acrylic, and utilizing a unique mechanism. Today, these instruments are highly prized by collectors.The Grafton was developed by Hector Sommaruga, an Italian living in London. The instrument takes its name from the street (Grafton Way) where his shop was initially located in the late 1940′s. The decision to manufacture a saxophone from plastic was based upon the relative cheapness of the material rather than an improvement in tonal characteristics. Provisional patent specifications (#’s 604,407 and 604,418) were applied for on September 14, 1945, and a non-working prototype was first shown in 1946. The instrument was conceived to have a plastic body; bell; and key guards; a brass neck (a plastic one would break in attachment); and a mechanism which incorporated a unique springing system. Many of the posts for attaching the mechanism were cast as part of the body. The molding was subcontracted to the engineering firm of Dc La Rue, utilizing a plastic compound developed by Imperial Chemical Industries. Hector lacked the necessary financing to complete the project, and he was able to obtain the backing of Geoffrey Hawkes (of the firm Boosey and Hawkes) and John E. Dallas. The instrument was finally offered for sale to the public in 1950, at a price of 55 pounds, about half the cost on a conventional saxophone at the time. 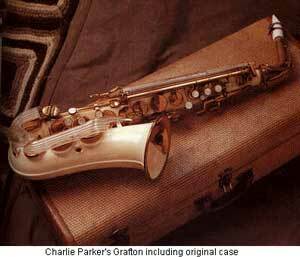 The instrument was used by prominent saxophonists Ornette Coleman (who encountered considerable mechanical failure with the instrument); Rudy Vallee; and, of course, Charlie Parker, who used the Grafton only outside the United States due to a conflicting endorsement agreement. Hector left the Dallas Company in 1953, and moved to France where he ran a motel until his death in 1985. The company continued alto production until 1967. A tenor prototype was built, but its larger size was beyond currently available manufacturing technology. The Dallas company introduced a line of clarinets, but these had severe intonation difficulties and were rejected by the market. The Grafton was a failure for some very good reasons: (1) the plastic construction just didn’t sound like other saxophones and was not compatible with section playing. (2) The design of the mechanism gave a very unfamiliar “feel” to players. (3) the plastic body was very prone to cracking and the key guards snapped off easily. (4) Repair technicians were unfamiliar with the instrument and the necessary parts (particularly the unique springs) were not readily available. Production ended in September 1967, and the tooling was sold for scrap. The Grafton was an interesting concept, but the final execution of the product was never acceptable to professional players.